Welcome to LegalSportsBetting.com, the #1 online resource for legal sports betting in The United States!!! Throughout the years, the overall consensus regarding whether or not sports betting should be legal has been in a state of constant change. For decades, the practice was largely unregulated and under the table so to speak. But, it would seem as if the state of legal sports betting in the United States is currently being viewed favorably by the majority of citizens and lawmakers. This has led to the legalization of sports betting across the nation, with more and more states continuing to research the industry. If your state has any type of gambling right now, then chances are that they will have sports betting soon. Browse through our website to find everything you need about legal sports betting in the United States including legal news, federal and state sports betting laws, reviews, advice, and more. Tennessee HB0001 will undergo discussion on Tuesday, April 16 in the Government Operations Committee. Missouri sports betting bills, SB44 and SB222 will be perfected on Monday, April 15. In the immediate months following the downfall of PASPA, there has been numerous states that have passed legal sports betting bills. In the first quarter of 2019, eight states had launched land-based sportsbooks, and plenty more have plans to this year. All of these states offer full-scale sports betting, just like they do in Vegas. However, there may be limitations on which teams and sports can be wagered on a local basis depending on the laws in the state. As the list of states with legal sports betting continues to grow, It will become even easier to find somewhere to do some legal sports betting. Be sure to check back here to see if any other states have been added to the list. Long the beneficiary of a government-mandated sports betting monopoly, Nevada has offered legal sports wagering since 1949. There are sportsbooks in every city in the state. New Jersey was the second state to legalize sports betting post-PASPA, with the first sportsbooks launching one month after the federal ban was lifted and several opening since. The first sportsbook in WV was opened on September 1, 2018, and all 5 racino & casino venues in the state now offer full-service legal sports betting. Rhode Island’s gambling market is comparatively young, with voters approving casino gaming in 2012 (and reaffirming in 2016). 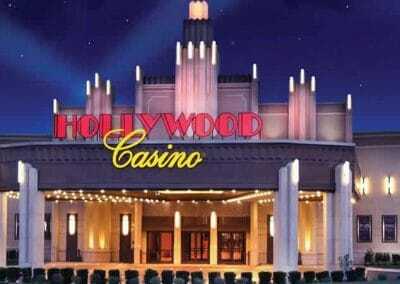 There are two active casino locations in the state, both offering sportsbooks. New York voters approved sports betting at 4 upstate NY casinos. These venues have yet to open but are on-track to offer in-person wagering by mid-2019. Online and mobile betting may require another voter referendum. Voters legalized sports betting in Arkansas in November 2018, but the AR Racing Commission’s rules have just recently been approved. Arkansas sports betting is on track to accept operator applications by June 2019. Delaware was the first state to offer legal sports betting after PASPA was lifted in May of 2018, opening its three racino-based sports betting lounges in April. Currently, sports betting in MS is growing extremely fast with the opening of new brick-and-mortar sportsbooks, but the state is not expected to get legal online sports betting until at least 2020 or 2021. Pennsylvania is now the largest state with legal sports betting, and the pastime was approved in 2017, before PASPA was overturned. The number of PA sportsbooks is growing fast. There are only a few legal sports betting options right now, but legal sports betting is growing fast in NM. Several new NM sportsbooks are expected to open soon, including one that just launched in mid-March. Connecticut is debating sports betting exclusivity with its tribes and other commercial operators. Sports betting could come to CT in 2019, but the existing tribal compacts are proving a major hurdle. Sports betting was legalized in Washington, D.C., in 2018, and it will be overseen by the D.C. Lottery. 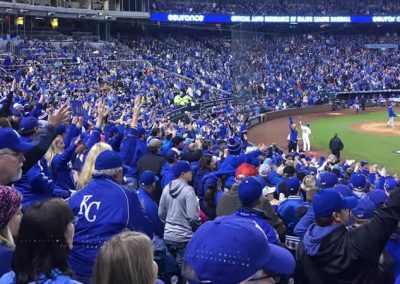 City residents will be able to wager at stadiums, liquor stores, restaurants, and via a geo-fenced mobile app. Note: your email will never be given out. As you can see, the current state of legal sports betting in the United States has changed dramatically in recent years. The highest court in the land has finally agreed that sports betting cannot be barred by the federal government! States can now decide for themselves whether or not to make sports betting legal within their borders, and many have already started moving forward on the lucrative, resident-friendly prospect. In fact, there are already several states that have approved commercial sportsbooks and which now have 100% legal sports betting, and there are plenty more states finalizing their sports betting laws right now. As it stands, the sports betting industry is in the best place it has ever been. Over the next few years, you will start to see sportsbooks popping up in more than half of the states in the country, and within a decade, sports betting could be effectively available nationwide. As of February of 2019, there are currently 28 other states that are considering legislation that would legalize sports betting in their state. Some of them already have bills in the works, and some of them are simply doing a study to see if sports betting would be a good fit for the state. Considering there was only a few at this time last year, this is great news for those that like to place a bet from time to time. Since state legislators have started to take notice of the millions of dollars being generated by legal sports betting across the country, many of them are currently seeking ways to gain tax revenue from the lucrative industry. 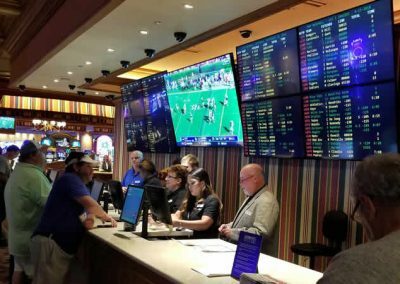 Some states saw this coming and legalized the activity last year, but have yet to offer their residents a local sportsbook. Those states include New York, Connecticut, and Arkansas. The New York State Gaming Commission has created regulations to have four casinos in the state offer sports betting this year and is currently debating mobile wagering. Connecticut passed a sports betting bill in 2017 but will need state officials to come up with regulations before their legislative session ends on June 9, 2019. In 2018, Arkansas voters approved sports betting at two existing racetracks and two proposed casinos. The Arkansas Racing Commission will now be accepting applications until June this year, so bettors can expect to have sports betting in time for football season. Washington, D.C., while not a state, operates like ones, and the D.C. City Council legalized sports wagering in 2018 by an 11-2 vote. Regulations have yet to be finalized, but D.C. should offer its first wagers by late 2019. There are also over two dozen states that have introduced bills in their 2019 sessions. However, some of these states will have to wait until next year for voter approval. The ones most likely to pass legislation and introduce sports betting this year include: Iowa, Massachusetts, Missouri, Kentucky, and Ohio. Iowa now has bills in both their House and Senate chambers that have been approved by subcommittees. Massachusetts currently has 7 active bills seeking to legalize sports betting. MA is also home to DraftKings, who will surely influence the process. Missouri, Kentucky, and Ohio have multiple bills being debated as well, and these states have decent bipartisan support, with advocates from both Democratic and Republican caucuses. Of the following, only Nevada’s revenue trends are more or less concrete. For the revenue figures of the post-PASPA sports betting states on the list, remember to take the averages with a grain of salt. Generally speaking, states that have legalized sports wagering have experienced a three-to-four month ramp up in both handle and income before hitting their strides, and the majority of these states have not yet launched their state-wide Internet and mobile sports betting platforms. With all this in mind, you can see that most of these figures will skew low in terms of being representative of future market health. As the debate over sports betting rages in statehouses all over the country, it’s important to understand exactly what’s at stake and the pros and cons of legalized sports betting. From large-scale economic factors to the perils of gambling addiction, there are many issues to consider. Better League Oversight – The old outdated laws in the US did not stop sports betting or cheating from occurring. New laws in partnership with the cooperation of all professional and college leagues will greatly increase the legitimacy of all outcomes. Standardized Injury Reports – Another key element of regulated sports betting will be the need for critical information, such as injuries and starting lineups being made available to everyone in a timely manner before the match starts. New Technology – Not only will new technologies help the overall betting experience, but it will also open new doors into the world of stats and analytics that will greatly even the playing field for new and casual bettors against the books. Tax Revenues – Every wager is taxed by the state and that much-needed revenue goes to various programs, such as public education, pensions, and other underfunded programs. Jobs – With an estimated 216,000 new jobs and a total labor income projected to be $11 billion, the impact of sports betting on working people can’t be ignored! 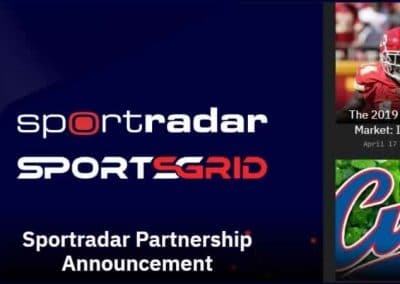 More Wagering Options – As leagues partner with sportsbooks, you’ll see an expanded range of betting options come online such as in-stadium betting and next play betting. No Federal Framework – Since it is up to the states on how they implement sports wagering, there is no federal framework to go off of. This makes wagering inconsistent from state-to-state and also limits mobile wagering. Bad Odds and Payouts – Because of the tax on your wager and the liability most local sportsbooks incur on local teams, you will end up receiving less of a profit when you win due to inflated odds. This is something that won’t happen at an offshore book. Gambling Is Addictive -While betting on a game is a lot of fun when done responsibly, it can also affect your life. If betting is no longer fun you should stop! If you need help, seek help. You Can Lose Lots Of Money – You can’t win money if you don’t risk money. So only bet what you can afford to lose! Increased Chances Of Fixed Games – It is a fact that the chances of a game being fixed will increase with more legal sports betting. This is especially true when you consider that college athletes do not get paid. With no barriers to entry, the future regulation of legal sports betting in the USA in 2019 and beyond looks bright. Many states have already legalized sports gambling, with new bill proposals considered every legislative session. In the states that have already passed sports betting laws, the future holds expansion into online and mobile options. Many legislators were more concerned with just getting a law on the books rather than taking advantage of additional markets, so the majority of states have not drafted laws addressing Internet betting. In those that have, lawmakers may consider how to legally accept bettors from other states, and in doing so, they may reevaluate the Wire Act (which itself is currently being challenged in court). Unless you are attempting to operate an online sportsbook and take bets from other people, online sports betting is principally legal. The reason online sportsbooks are legal is because of the fact that they are located offshore and they do not have to follow US laws. There is not a federal law that penalizes US citizens for placing sports bets online, and most states do not have online sports betting laws in place either. It is precisely this absence of laws and regulations that makes it generally safe to bet on sports online, as long as you pick a reputable gambling site. The only factors that would make online sports betting even remotely illegal are if you reside in one of the very few states that has online gambling laws on the books or you bet on sports while underage. We have seen a number of changes over the past couple of years as the federal government and individual states look at how to best regulate US sports betting. Below, you will find the current status on each of the major laws that affects how states will operate going forward. With state sports betting laws in the power of each individual state government, rules and regulations will vary from state to state. With seven states joining Nevada in offering legalized sports betting within just a year of the landmark PASPA ruling, the number will only continue to grow. To find out the current sports gambling laws in your state, you will want to visit the website of your state lottery or gaming commission. Federal sports betting laws dictated the nature of the US sports betting industry for decades. Over the years, however, there have been changes to the applicability and validity of certain rules. Learning more about these laws’ original meanings and new interpretations are important in order to understand the full scope of sports betting laws. The most pertinent federal acts to review are the Interstate Wire Act of 1961 (active), the Professional and Amateur Sports Protection Act of 1992 (PASPA, overturned in 2018), and the Unlawful Internet Gambling Enforcement Act of 2006 (UIGEA, active). When then-President John F. Kennedy signed the bill into law, the internet had not yet been invented. In the present day, the Wire Act is now interpreted to include sports wagers transmitted on the internet. Even with this application, the federal law specifically states that only those in the business of wagering are covered under its scope. As with the majority of sports betting laws, only operators are targeted and casual bettors are in no way penalized. PASPA was finally challenged in the courts by New Jersey, and after six years of legal wrangling and appeal after appeal, the case – dubbed Murphy v. NCAA – was presented to the US Supreme Court. On May 14, 2018, the Supreme Court ruled that the law was an unconstitutional violation of the 10th Amendment, thus overturning PASPA and rendering it null and void. With the federal ban on sports betting lifted, states across the nation were finally able to start enacting their own sports betting legislation. The Unlawful Internet Gambling Enforcement Act of 2006 (UIGEA) is one of the most misleading federal sports betting laws in existence. Though the title of the law would lead many to believe that internet gambling is illegal, in reality, the UIGEA is a banking restriction on U.S. payment processors. The UIGEA prevents U.S. financial institutions from processing payments related to internet gambling by requiring measures that restrict the transactions. The federal law does not make online gambling unlawful, but it can make certain designated payment systems such as credit cards more difficult to be processed when making a deposit. That is why sites for legal sports betting in the United States will offer several banking methods. You can read the full summary here. Regardless of if a particular league is for or against regulated sports betting, it seems that as the popularity of sports betting has increased, so has the interest from league executives. Representatives from the MLB, NHL, NBA, and NFL players associations have all conducted meetings regarding how legalized sports betting could (or should) impact their respective players. The opinion of regulated sports betting amongst the leagues will continue to change and develop over time, but as they see the angles of profitability with licensing and data deals, they will all eventually publicly embrace the pastime. The National Basketball Association (NBA) was the only league to publicly accept the reality of a legalized sports gambling industry in the US. NBA Commissioner Adam Silver first expressed his support of a regulated environment in a 2014 article to the New York Times. Four years later, with the overturn of PAPSA, the league has several partnerships in place with casino operators and sports betting providers. 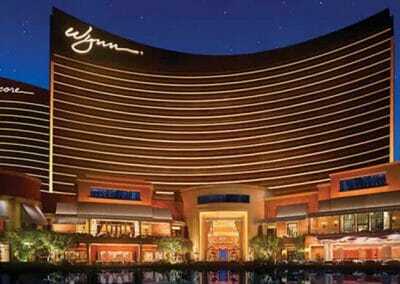 MGM Resorts International was the first casino partner to sign a 3-year deal with the league. Agreements with BetStars and FanDuel also fell into place shortly after the ruling in Murphy vs. NCAA. You can read more about what the NBA thinks about legal sports betting by following the link. Of all the leagues that fought the repeal of PASPA, the National Football League (NFL) was the most staunchly opposed to legalized sports betting. The NFL already took issue with sports gambling long before their battle with New Jersey, as the league sued the State of Delaware in the 1990s for their attempts to offer single-game wagering. NFL Commissioner Roger Goodell argued vehemently throughout the Murphy vs. NCAA trial that widespread legalization would negatively impact the integrity of the games. However, inconsistencies with his argument were raised by the league’s voting to move the Oakland Raiders to Sin City, a choice that many argued was in direct conflict with Goodell’s statements regarding gambling. Now that PASPA is no longer effective, several NFL teams have entered into agreements with casino partners. The deals include the Dallas Cowboys and WinStar Casino, along with the Baltimore Ravens and Horseshoe Baltimore. Learn more about the NFL’s thoughts on sports betting and find out the details of the deals. MLB Commissioner Rob Manfred supported the NCAA during the Murphy vs. NCAA case, but it would also seem the league had one foot already out the door. Toward the end of the trial, spokespersons noted that MLB officials had begun researching the various impacts of sports gambling on professional baseball. Once the Supreme Court ruled in favor of New Jersey, the MLB wasted no time in finding an official sports betting partner in MGM Resorts International. Their deal was similar to that in place with MGM and other leagues, where league data was supplied along with rights to use certain franchise marketing assets. Continue reading to explore more of the MLB’s thoughts on regulated sports betting. NHL Commissioner Gary Bettman was the least vocal during the legal sports betting controversy, remaining neutral for the most part. Bettman did make a statement regarding how ice hockey only accounts for about 1% of sports wagers placed at sportsbooks, making the potential harms of sports betting less impactful to his league. The NHL’s relaxed attitude was also amplified by establishing their Vegas Golden Knights franchise while legal proceedings for the New Jersey sports betting case were still underway. Post-PASPA, the NHL signed their first sports betting deal with MGM Resorts International. Find out what else the thinks about sports betting in the United States here. Many proponents of legal sports betting have cited several statements made by President Donald Trump. In an interview with Jim Gray on Westwood One radio, Trump did not share the same anti-sports betting outlook that many lawmakers have in common. Rather than give a definitive yes or no to the issue, Trump remained neutral. Donald Trump has yet to back any lobbying groups or take any legal action to further regulated sports betting efforts, but sports betting would seem to align with his interests. Trump was a former casino mogul, owning several casinos in Atlantic City. Before becoming POTUS, Trump also gave his okay to legal sports betting during multiple interviews throughout the last decade. Being that Donald Trump is an entrepreneur at his core, he sees the economic benefits of widespread sports betting legalization. Though we as Americans have crossed a major hurdle with the end of the ban on sports betting in the US, there is still more to be done. Without the burden of PASPA, each state now has the authority to regulate sports betting at a local level. While there have been tremendous strides when it comes to the number of states offering and embracing legal sports betting, not every state has enacted legislation. In fact, in the immediate 6 months post-PASPA, only a handful of states had launched land-based sportsbooks. By the first quarter of 2019, only eight states – including Nevada – had offered any regulated sports gambling options (with a handful more slated for later in the year). The number does continue to grow, but if you want to bring legal sports betting to your state, the best way is to take action. According to research presented by the American Sports Betting Coalition (ASCB), about 7 in 10 Americans believe that the people of each state should be able to decide whether sports betting should be allowed. In addition, legalization across all 50 states could generate up to $41 billion in total economic impact annually. Within a year of the SCOTUS ruling on PASPA, eight legal sports betting states generated over $6 billion in handle. There is no question that there are numerous economic advantages to legalized sports betting outside of the engagement that it provides for fans. The United States is just one piece of the larger sports betting puzzle. There are other countries in the world where sports betting is legal for all citizens without statewide limitations. One of the biggest sports betting hubs in the world is the United Kingdom, which is where some of the top online sportsbooks are licensed. There are entities such as the Gambling Commission and the Government of Gibraltar that issue licenses to online and land-based operators. To bet on sports in the United Kingdom, a player only has to be 18 years old. The United Kingdom includes England, Scotland, Wales, and Northern Ireland, and wagering kiosks are as common across these regions as lottery ticket vendors are across America. Australia is one of the largest sports betting nations, with a report by H2 Gambling Capital finding that bettors wager about $2,000 USD on average each year. The laws in Australia make it legal to bet on sports at betting shops and over the Internet as long as the player is at least 18 years old. Though legal sports betting exists in Australia, there are certain limitations. The Interactive Gaming Act of 2001 (IGA) makes in-play sports betting illegal unless placed by telephone, however, many operators were grandfathered into the law. Sports betting is a billion dollar industry in Australia, with residents able place bets with both AU-facing and offshore sports betting operators. The team here is always ready to answer any questions you may have about legal sports betting in The United States. Just shoot us an email to the address below and one of our team members will get back to you as soon as possible. Will I Go To Jail For Online Sports Betting? The likelihood that you would ever go to jail or be arrested for online sports betting is slim to none. The anti-sports betting laws in the United States are all focused on penalizing those in the business of sports betting, not those placing casual bets. Any high-profile cases surrounding sports betting have been those against individuals who started illegal sports betting networks while residing in the states. You can bet on sports online without having to be in constant worry about being penalized. Why Are Online Sportsboks Located Offshore? Online sportsbooks are located offshore due to the federal laws that prohibit sports betting in the majority of the United States. Offshore online sportsbooks are located in countries such as Costa Rica and Panama where the operators abide by promulgations set by their local gaming authority. They are outside the jurisdiction of the US but are still held accountable by an overseas governing body. That is why it is still safe to bet at offshore online sportsbooks even though they are not regulated by a U.S. gaming commission. Can Legal Sports Betting Sites Be Trusted? Yes, online sports betting sites can be trusted by U.S. players. Many of the sites cater to American bettors and therefore make sure to address any safety concerns. All of your financial and personal information is kept secure when you join an online sportsbook. Your financial account information is encrypted, along with all passwords and associated data. Your name, address, and other contact details are never sold to third-parties. You can also trust that online sports betting sites have fair odds and betting opportunities. Many online sportsbooks have been operating for a decade or more which has allowed them to build up a trustworthy reputation. Reliable banking and being able to trust that your money is in good hands has always been the biggest concern for USA bettors. When you use a legit online sports betting site, you are guaranteed to receive your winnings no matter which payout method you choose. What Is The Legal Sports Betting Age In The U.S.? The legal sports betting age will differ depending on the state in which you reside. Each state government has been given the power to dictate the sports betting age, which is why you will find varying legal ages. Most states have set the legal age to bet on sports to 21 years or older, but there are a handful of states that allow bettors to start wagering at 18 years old. These states are Wyoming, Rhode Island, Minnesota, Washington, and Oklahoma. Always verify the legal sports betting age before deciding to join an online sportsbook. There may be occasions where the site accepts players as young as 18 years old, however, if you reside in a state where the sports betting age is 21 you will need to wait. Underage gambling is a serious offense that is not worth the consequences, which is why we always stress the importance of waiting until you are the legal sports betting age in your state. Find the legal sports betting age by state. Football, Basketball, Baseball, Soccer, UFC / MMA, Table Tennis, Horse Racing, Rugby League, Politics, Boxing, Winter Sports, E-Sports, Snooker, Tennis, Motor Sports, Hockey, Golf, Cycling, Aussie Rules, Rugby Union, Cricket, Darts, Volleyball, Handball. Making a deposit at legal sports betting sites is simple and there are numerous options to choose from. When most bettors sign up at an online sportsbook to do real money sports betting, they opt to use their Visa or MasterCard because there is nothing more convenient than using the credit card you already use for other purchases. Credit card deposits are instant and you can start wagering right away. Bitcoin is another instant deposit option, and you can typically higher maximum deposit limits than you would with a credit card. For high roller sports bettors, bank wires are preferable because there typically are no limits to the amount that can be deposited. Transfers are usually completed in 1-3 business days but depend on your bank. You can also express ship a check to the online sportsbook if you prefer a more traditional method. Check deposits usually arrive within 2-4 business days when you use carriers like FedEx, UPS, or DHL. Read more about legal online sportsbook deposit methods here. How Do I Collect My Winnings From Sports Betting Sites? You will have several options when it comes time to get paid your winnings. Legal sports betting sites have reliable withdrawal methods that range in processing speed and payout limit. Bitcoin is the quickest way to receive your winnings, with funds reaching your wallet in as little as 4 hours depending on the sportsbook. There are never withdrawal fees when you request a bitcoin withdrawal. Paper checks are also a trusted withdrawal method at online sportsbooks, with the cashier mailing you a check that can be cashed at your bank. Some sites require that the check is first deposited to your bank account before being withdrawn, and there may also be a fee to mail the check. Other withdrawal options include money orders, litecoin, and MoneyGram. All of the top legal sports betting websites now offer mobile sports betting apps. Being able to wager while on the go gives you more flexibility to bet on the sports you love. You will have access to nearly all of the same functions that you do from the desktop version, including making deposits, placing bets, and requesting your winnings. Live betting is also available on certain mobile betting apps. Another perk to mobile sports betting is that the majority of sites do not require you to download an actual app. Instead of having to search through the GooglePlay Store or the Apple App Store, you can just visit the sports betting site from your phone to be redirected to the mobile-friendly sportsbook. Nearly every type of smartphone and tablet are compatible with mobile sports betting apps. Can I Bet On Sports With My Friends In The USA? If your state has laws that prohibit land-based sports betting, there could possibly be a provision against placing bets with your friends at the bar or at a game. There are a few states that do have social gambling laws, but it varies depending on where you reside. Even if its just with friends, the internet is the best option for legal sports betting in the United States. You can safely bet on sports with your friends online because there are no overarching laws that state otherwise. You and your friends can place as many bets as you’d like at an online sportsbook. In either scenario, there have not been any reported instances of law enforcement penalizing residents for placing bets on sports with their friends. Betting with a local bookie is not only illegal, it is really a terrible idea. First of all, there is nothing you can do about it if your bookie decides not to pay you, unless you are ready to break his ankles or something. Second, they are comitting some serious crimes by taking illegal wagers, and you do not want to be any part of anything like that. There are plenty of legal online sports betting sites that players can use, including several with some really fast payouts, to where you just don’t need to take the risk of betting with local bookies. Can I call A Sportsbook In A Legal State And Place A Bet? Since sports betting is legal in some states and illegal in others (at least in a land-based domestic capacity), many prospective bettors wonder why they can’t simply call one of these books – or use the Internet – to place wagers with them. This is due to the Wire Act, which bars sportsbooks from taking interstate bets. 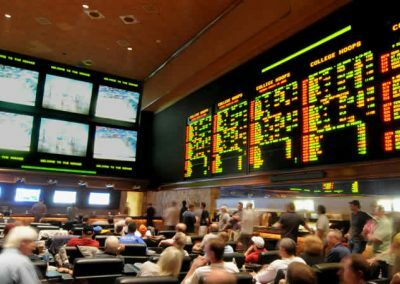 No legitimate sportsbook operator is willing to risk their business to accept wagers from out-of-state bettors, and proxy betting is largely considered off-limits as well. (Proxy betting is where a local representative places wagers for out-of-state bettors on the events of their choosing. In most cases, the proxy is considered to be in violation of the Wire Act). Is is better to bet online or at a brick and mortar sportsbook? This largely depends on far away from a legal land-based sportsbook you live. If you live in the same city as an operating brick-and-mortar sportsbook, it might make sense to gamble at this venue as a part of your regular weekly routine. Sports betting lounges are great places to get a bite and watch the game, after all. However, if you have to drive or fly long distances just to place a few bets, that’s not particularly reasonable. Remember, sports wagering is a daily or weekly thing for most bettors, and with thousands of wagering options on most sportsbooks’ daily odds boards, the Internet is a much more compelling solution for the dramatic majority of the population, even in states with legalized sports betting. 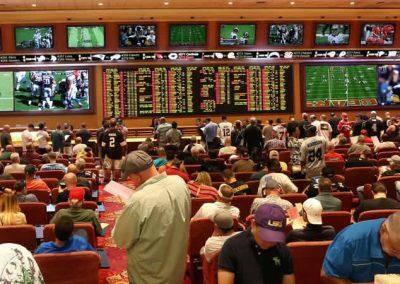 Can individual states make offshore sportsbooks legal? 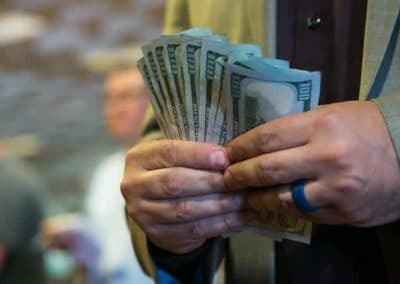 There has been some speculation that individual states could make offshore sports betting illegal in an effort to direct all sports betting action to their own homegrown sports wagering markets. However, no state has flirted with this idea as of yet, and there is precedent among member nations of the World Trade Organization (including the US) that guarantees free trade between constituent countries provided the product in question – in this case sports wagering – is legal at the site of the completed transaction (and there are no active trade sanctions in place). It is unlikely that any individual US state will willingly get involved in a dispute with the WTO. Do I have to pay taxes on my winnings when betting on sports? Absolutely. It is a common misconception that you don’t have to treat offshore sportsbook winnings as taxable income, and this has led to financial ruin for many bettors. Always claim your sports betting winnings as income, and always follow your state’s tax laws – and federal US tax law – to the letter. Some states allow deductions for losing wagers (up to a certain limit), but this varies, and you should definitely contact a tax professional if you have any questions. To make your filings easier, the US government has put together the following primer https://www.irs.gov/taxtopics/tc419 on how to claim all gambling winnings. Also, it is critical to note that you are in no danger of being prosecuted for using offshore sports betting sites when claiming winnings earned from these services.